How disruptive can a sneaker design really get, whilst remaining a commercial success? Many high end products like Raf Simmons we feel are more disruptive as they create a love/hate vibe and that in-turn drives discussion which then has the power to change or evolve consumer behaviour. 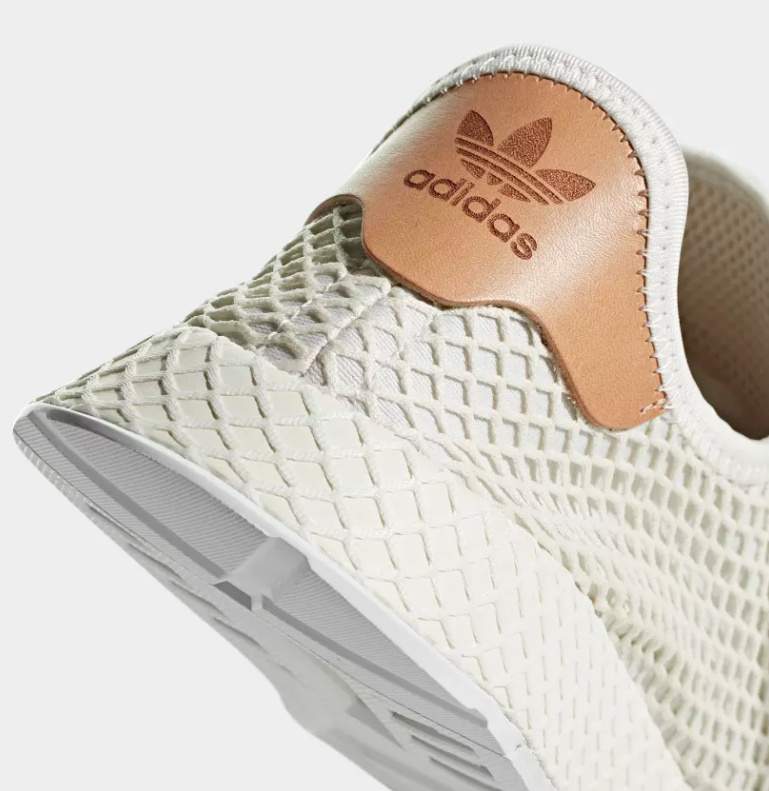 ok, blah,blah,blah....do we like the adidas Original Deerupt? Its zonal cushioning and colapsible design make it an incredibly practical wear along with a shape and profile which look fast even when it stationary. We really dig the tasteful veg tan on the heel of this Cloud White drop. 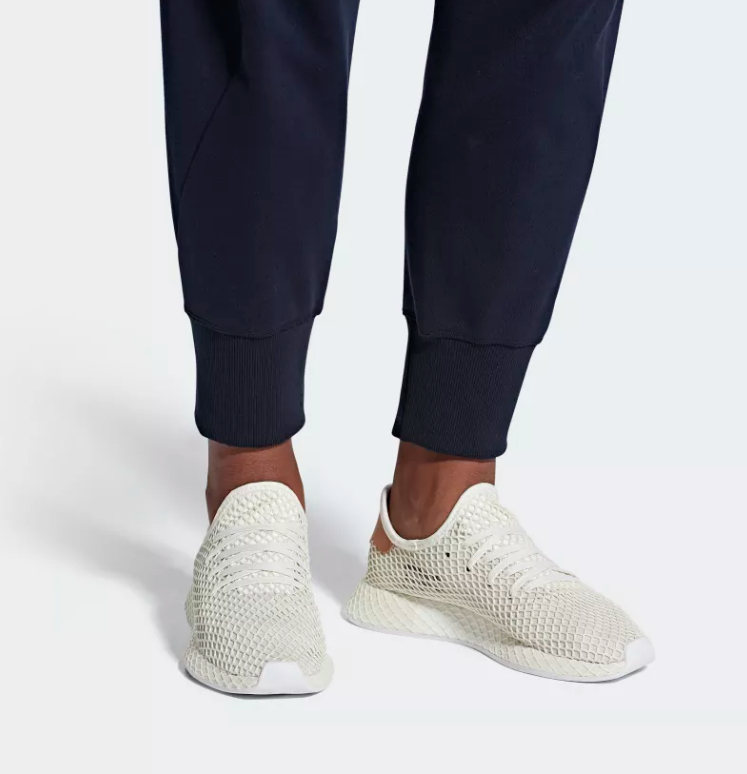 We don't think the Deerupt will hit the collectable echelons of the sneaker game as it lacks the panelling that enables the combination of colour, textures and materials that the best colab silhouettes all have. Is this a great daily wear for £80?....Hell Yeah!